Mister R is a name of sailing boat Grand Soleil 56 ,which has been built in 2004. Mister R is furnished with 9 beds. Sleeping places on the vessel are arranged in 9 (6+2+1) layout. 4 cabins are located inside the yacht Mister R. Guests can feel comfy on this yacht , because there are 3 toilettes for their disposal. 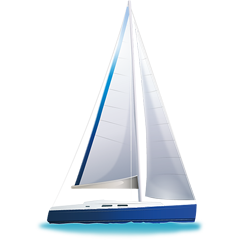 With 400.00 l l. in diesel tank you can sail really far and still be independent because of 600.00 l liters in water container. Mister R is driven by engine 100HP. On the boat is placed following equipment: Bimini top, Anchor electric windlass, Dinghy, Gps. . Deposit is 4000.00 EUR.